Could The Customer Advantage Be A Scam? Are your interested in the customer advantage. but wondering if it's a scam or not? Well let's get to the truth about this extremely popular online discount and income program. I've moved this post to our internet scam forums since we are getting a few negative comments here and in the interest of full disclosure I want anyone who wants to comment the opportunity to do so. As you can see, I promote the customer advantage as a legitimate free online income opportunity. However, if it doesn't live up to expectations or even worse turns out to have ulterior motives then we will of course post them here. I do not believe this to be the case at this time as the program is very new and moving along just as John Milanoski told me two months ago it would. As always I encourage you to do your own due diligence. We will keep you informed here. The primary concept of this free opportunity is to enable members to save 50% or more at local businesses in their immediate area. Members are also rewarded/compensated for inviting their friends, local businesses, charities, organizations, non-profits etc to join this free program. When any friend or business participates with the program the member responsible for inviting them is compensated down five levels of their group even for members their referrals invited etc. This is a very powerful business model, since who wouldn't want to save on purchases they were going to make in their community anyway? Sound too good to be true? Hardly. A similar company that doesn't offer nearly the income potential called Groupon was recently offered 6 billion dollars from Google which they turned down! Watch this short video for a brief overview of the customer advantage. Click Here to Join With Zac! I'll help all members of my team build their groups easily with all my online resources. I've spoken with John Milanoski the owner/founder personally and will be working with him to help improve the members experience, ease of use etc. I've also set up our own team support group specifically for our customer advantage team. You can also promote and advertise your invitation link here at my site and our forums for free! Everything about this program and our team build is 100% absolutely free and always will be. Welcome aboard! We're glad you've joined us. P.S. Be sure to leave a comment below with your customer advantage referral link, and introduce yourself or ask any questions you may have. P.P.S. Want to start earning online today? Get Paid To Advertise Online At Free Sites! Comments for The Customer Advantage Scam? Any updates on possible resurgence? This is very well written post. thanks for sharing. Can you be addicted to composition utilitys? If so accordingly I deliberate I am a serious essay-on-time.com discount moreover I want a cure. It is forthwith impractical for me to uniform sample treatise an theme on my confess. All duration I ogle at the name paper ’I assume to watch ‘service’ ensuing to it. Improve! Have you been only a doodlekit or even are you able to create essaygeek? A few of the articles listed here are truly educational as well as We may wish to possess this knowledgeable author focusing on my personal documents. Can you end up being capable of supply these types of providers? public sector accounting jobs - Our expertise in public finance and project management allow us to offer a special kind of support. A friend of mine told me about this website it is my first visit it is very informative and increase my knowledge. Thanks for providing nice information. It is very helpful for my website to save from scam comments. This is a very nice website and I would like to say that keep up the good work. You are doing a great work and you are doing a really great job. Keep it up. This is a very nice and awesome website. Keep up the good work and keep working harder to keep working. Internet Work Marketing is a very helpful website. I think new bloggers must give this website a try. It is a very valuable website. 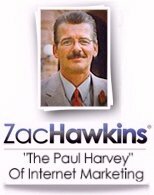 Internet Work Marketing is a great website to learn new things. Thanks for the nice website related to internet marketing. http://gymmatscompany.co.uk/ it is one of the best websites. May I ask you to place some ads of my site Paperlanterns-Shop on you blog? That was such a useful information which gave a good opportunity to find out the scams that weere really being done through this. I just gone through many reviews in http://www.topbritishessays.com/royalessays-co-uk-review about them. I wish it could really help in finding out the scams as wekk. Even i have been looking for the best answer. Lots of specialists argue that loan aid a lot of people to live the way they want, because they are able to feel free to buy necessary things. Furthermore, different banks offer sba loan for young and old people. I signed up OVER a year ago with TCA. Paid $75 to get more people in my downline. To this date they have NOT provided the 15 people to me and after badgering them I finally received a response that TCA is not giving refunds for the $75 even though they have never come through on their end. MANY people have this complaint. The Customer Advantage it definitely legit. Truth is the lazy people have nothing better to do than try to bring down our army. I have been involved for over two months aand have 400 in my downline. Anyone can do this great opportunity. TCA and WikiPay have forged a partnership to pay TCA commissions to TCA's more than 138,000 reps.
Can my different levels sign up in the Co op program after the complete Launch? If so this can shut up the nay sayers who are whinning about the current co op money. The Customer Advantage Math below. I am not going to cover whether this is a scam or not, whether people will get their money or not. But whatever TCA is trying to do here is considered illegal in many countries in Europe. This is a pyramide business, and if no goods are sold by the members, then it is not legal. I do not know the legal circumstances in the US, but I am pretty sure JM is gonna have issues with launching this outside the US. And Zac, honestly... Trump 4 president? Hey zak, if you are giving insight into tca, then why did you deleteall the posts that clearly have some legit concerns.? I appreciate all the positive comments and questions as well. I try an stop in as much as possible, but frankly I have numerous business concerns and a wide variety of income streams. My main one at the moment is Getting Paid To Advertise At Free Sites ONLINE. Check it out by clicking the link above. Beyond all that It will take years to penetrate the market and get busineess in non big city areas aboard unless customers sign businesses themselves. I would have no interest in that. I live 30 miles outside of Boston and groupon offers are all to far away and only 1 in my town or surrounding towns supporting 400,000 people. Just too long i feell to see money and IF it did work. I think if you had 100,000 customers they 99,000 would forget by the time they had enough businesses near them to make it worth their while. Zac, I have provided constructive concerns on your webpage. But that is not why I am taking the time to enter this message. I have put TCA on the back burner. The reason for this post is that I want to commend you for your time and energy. In less than three minutes I have read more from you than I have ever received from the TCA staff. I appreciate your work and your passion and I do not even know if I agree with you on some of these issues. But frankly whether I agree or not, I am impressed with your positive 'move forward' attitude. TCA has made it much tougher on you than on me because you have put so much more into your TCA business. I really do wish you the best. Just getting tired of people complaining about trivial matters like a third party viral calculator etc. Blatant whinning is not. I want relevant info here for my readers, not a crying in your milk page. P.S. How about something constructive folks? Zac, I'm confused, did you not create this website called "The Customer Advantage "Scam?" Why are you complaining when these folks express their concerns. Seems a bit hypocritical criticizing them for voicing opinions on a website supposedly dedicated to explore the negative possibilities of TCA. I'm not sure why you need to be threatening. Have you all nothing better to do? Stop your whinning and get busy producing multiple income streams. Next flagrant whiner gets banned. I'm getting tired of it folks. P.S. the viral calculator is simply a tool you can use for any income program that pays multiple levels, get a life! How about these assumptions, 1 enrollment per month for you and EVERYONE on your team with a monthly spend of $10.00. According to the viral calculator, in month 12 I will earn $792.50. However, of the 1585 people on my team, 792 are on my 5th level, of which I don’t get paid. But I also have 495 people on Level 4 which I don’t get paid because I have only referred 12, not 15. My real income is not $792.50, but $298.00, 63% less than shown. I know this is not a TCA product, but if its flawed, why promote its use? How hard would it be to create this tool using the actual TCA compensation plan? It is totally deceiving and inaccurate, giving hard working people the wrong hopeful impression. I also noticed it’s preset for a monthly spend of $50 which from earlier posts, assuming they are close to correct, seems unrealistic. Besides, the “average” person is not referring 12 people, maybe 3 or 4. I say eliminate or correct it for accuracy. I'd just like to say this is why I work on numerous income streams and sometimes have to put some programs on the back burner. Those of you who have made TCA a priority should not give up on it, but rather continue to pursue building your presence online and building relationships with others. Once TCA makes progress and starts to generate more opportunity you can put what ever effort into it you deem appropriate. Bottom line is what I am saying is don't put all your eggs in one basket, and be patient. Those of you who are disgruntled have IMO misinterpreted how soon TCA would give you a return on your investment, most of which is your time. One last comment, please keep your comments non personal and or self promotional. I've had to ban a few here who seem to try an use bashing TCA for their own gain. I'd encourage all of you to share this post with your team so they can get breaking news regarding the customer advantage, and or ask any questions they may have as well. Just use the share buttons top right on this or any page on the site. P.S. Oh btw, check out my latest website, it's focusing on the up coming election season. Tca is full of excuse after excuse with zero communication to its members. I have built a team in the thousands and can say we are very dissapointed. John M. Should be the one responding to the negative responses from members that have put in Thousands of unpaid hours to build his company, not his daughter..
Its ashame tca will never make it. Johns credibility is shot! Take this experience with tca and move on. Learn from it . In order to have realistic goals, I went to Groupons website and saw they have sold 40M coupons so far. That is alot of business, but than I researched more and found this quote "Groupon managed to gain 400,000 email subscribers by the end of 2008. A year later it was about three times larger at 1.5 million. Twelve months on and it was 40 million, 1.5 million of whom joined in the last the week before that measure." Am I missing something, or have they sold only 1 deal per member in 2.5 years? I have no idea what the average deal is, I would guess $40. If I'm close, that would mean an average monthly purchase of somewhere near $1.50/member, nowhere near the numbers everyone talks about on TCA. I'm sure ours will be higher because we get paid to refer, but not 10 to 20 times like some people say. That makes earning level 5 really difficult for people like me (I have worked really hard to recruit 17 members). Have you read the latest email from Mark at "corporate"
"There have been a dozen or so members that have been really spamming about TCA and also signing up members without their agreement. This has to stop. It creates a lot of unsolicited email and has gotten us black listed from nearly all of the major ISP's"
Apparently some of those "leaders" with 500-1,000+ enrollments (numerous non-USA) are signing up "members" without their agreement. And they receive website recognition by TCA! Regarding an average spend of $20 month, since Groupon with all their advertising appears to average in the neighborhood of $5 month per member or less, it will take a whole lot more than 500 people in a leg (10 different times) to see level 5. I can't force people to buy, I can only recruit and help my team recruit. Please answer this question "Why 10 legs?, Why not total volume of $100K per month? By the way, everyone says you get paid 5 levels, it should be "up to" 5 levels. Based on any scenario you use, at least 50% of your entire team will be on level 5, so this is a huge and unfair requirement in my book. For those of you badmouthing the comp plan…. It is only the 5th level that there is a significant qualification. I love that because for those of us that WORK at it, we will be paid far more levels than 5. Anyone can achieve this and it is a fair reward to help encourage leaders. Just be a leader! Consider, the 10k is as simple as having 500 people in your group within 5 levels that purchase a single 20.00 item in a month! That could be a haircut, some movie tickets, car washes or whatever! There are people that have over 1000 people in 3 levels within weeks! Anyone that is complaining is either trying to sway someone to their opportunity or because they are lazy! Neither of those actions will create a sustainable income for you! Consider this too, if you are in a program that has absolutely zero qualification and everyone gets paid regardless of what they do… you’ll undoubtedly have people stacking under themselves to gain more commission for the same effort. That just hurts everyone. If you are going to work the program (which I necessary for you to make money in ANY program) then you have nothing to worry about. Nice thing is, you will have the benefit of not being blocked from income from people that are lazy and doing nothing! Maybe you go to a job and do nothing and get paid. Me, I do not know where that exists. The nice thing about TCA is that it is very fairly balanced and rewards those that work. That is the way it should be. It’s not a matrix or some sign up and do nothing program, its not a binary where you always seem to be short on one side. Here you can go as wide as you like and you will be paid accordingly! Truth said, with roll up etc, I think this plan will pay some pretty large checks. It is structured where the leaders will be compensated fairly and ANYONE at ANYTIME can become a leader. All dollars will be paid to the field Zac will most likely be one of the ones capturing the money that rolls up because he is a leader. What will you do? I know what I will do. Those leaders already established will capture large rollup. Most companies do not roll up the commissions; they simply have it go to the company! This is not that way. I know for a fact that there is more than John running the show. I know there are at least 10 people and several teams that are working on different aspects. I have spoken to many of them or communicated via email. Daniel, Joanne, Sam, Tony, Geoff, Mark, Lisa, Jay, Geramy, and a few others I can’t remember their names at the moment. Just remember, the person throwing dirt usually finds themselves in a hole! I think it is wonderful what John is doing here. He is allowing us to help so many people. From what I can see about him, even before TCA he has always worked to lift others and encourage others to peruse their dreams and make a difference. Regarding the coop. If it was a scam, don’t you think TCA would be selling to everyone? There are over 80,000 members now and no one can join the coop. there was only 1000 spots filled and that’s it. If you don’t want your spot I’ll take it! I was too late and have asked several times to get in but they said NO. Are you a Leader or a Whiner? Holy cow. Someone mentioned John being in front of a foreclosed abandoned house? Are you really serious? Do you know John? And the article you read, does that person appear as anonymous or are they using their name? The only bad thing you find about John on the internet is some page posted by an anonymous character that slanders many people for fun. People like John Maxwell and other innocent well doing people! That poster is lucky they haven’t been sued for libel. Be a little more intelligent, if that house was abandoned and foreclosed why was there freshly planted tulips around the fountain? How was John walking through the entry and there was a piano etc.? Does that really look like a foreclosed house to you? I can find no evidence that John has ever been in foreclosure. You are spreading nonsense and paranoia. How many houses does John own anyway? Do you know? People with a less than admirable agenda will hide behind a mask and badmouth someone that obviously is not hiding at all! I can tell you that I have read so much good about John I could care less about what people say. He does walk his talk. Ok, granted, he is a bit behind schedule and its easy to blame him because he put himself out front. Most company owners are hiding behind some front person or cartoon video. I imagine John shares what he can based on the information he is given. Think about it, who could want to launch more than all of us… YOU with very little invested or him with over 1 year and lots of money invested not to mention his name! Some of you act like he ran for the hills or something! Most people would never even attempt to achieve a task like he is. As far as the coop goes, Are you serious… do you think he would do all this to run off with 75k? LOL. I don’t think that would even make a dent in what his expenses are, Even if you paid minimums like 2,000 a month per employee that over 20k a month and that does not include hosting costs for video, systems etc…! If someone is going to be that ignorant about this, perhaps they deserve to miss out! I personally believe this could be a huge game changer and there is a lot of room out there for us all. Even with the personal attacks against him he still continues on. He has his money into what he is doing and has asked no one to pay a dime and you are attacking him? Most people would probably opt out at that moment, I know you who slings dirt probably would! I have read that he has a special needs child on top of all this too! Also, did you know he married his high school sweetheart and they are still married today, nearly 30 years later? That shows Character! Looks to me that we could all learn something from John! I understand people's doubts and totally get where they are coming from. I am not involved with the customer advantage, not because I don't believe in it but because it's something that I am not interested in whether it's my dads company or not. My post was more to stand up against people posting my families personal information then to stand up for the company itself. As for the other stuff, like I said I get it 100%. I honestly would be just as mad. But from the stuff I do know about TCA, it's not a scam, the money from the co op is being put back into the company and the people that paid that money will be getting the 15 people under them as promised. It is taking alot longer then expected but like I said it is a small team right now and there were a lot of bumps but from what I heard I think you should expect to start seeing things happen within the next week. For as much as it's worth my dad barely sleeps and has been working around the clock for the last 6+ months. Even with the death of my great grandpa and his kidney stones. I am sorry it is taking so long and I hope you see the results that you expected to see when you signed up. I admire you for responding the way you did. I totally agree, the "stalker" must have a personal vendetta and tons of time on his or her hands. However, that does not mean all the facts are incorrect. My primary issue with your message is "What did you lose? A little time?" I personally agree with John's vision, and by my estimation, working TCA as a full-time commitment, have invested 40+ hours week for 10 weeks building a substantial organization. Even at minimum wage, that's in the area of $3,200. Forget the fact that my credibility was severely damaged by recommending the co-op "option" to my now very unhappy team, and spreading the great news about free video email/conferencing which never happened. You can't put a dollar figure on that! With 80,000 email address (not members) and deducting a couple of thousand probable duplicates and @24,000 non-USA (when will they ever have a deal? )about 54,000 USA residents and aspiring entrepreneurs have invested at a minimum of 10 hours per person total (probably much more), over 540,000 hours of work building their TCA organization. Sure, TCA is "free", but once again, at $8 hour over $4,000,000 of free labor has been dedicated to TCA, and we can't even get answers to questions, absolutely disgraceful. I am not saying this is a scam, but it sure is incompetence. Stealing peoples dreams and time for an idea that you can't execute is just not right. I truly hope TCA succeeds, but based on what we all have seen to date, don't have much confidence. I promise you on my life that TCA is not a scam. I can tell you this for sure because John is my dad. I'll be completely honest with you on every single detail. My dad and I have not always gotten along but the rumors going around the Internet are a little bit ridiculous. I was not asked to post anything and I would not lie for him ESPECIALLY If he was scamming people out of money. But I can assure you that there is no scamming of any type going on. The company is not failing. My dad started TCA out of his home office, the team working on it is very small as it is a growing startup company. They are in the process of testing out deals and making sure there are no bugs or glitches and then the site will go live. As with the beginning of anything there have been a few bumps in the road, but most of that is out of the way. I mostly write this out of irritation. Whoever the loser is that made that blog post with the pictures of my parents house is pathetic. There is 3 young kids living there and what right do you have to be a psycho and post that on the Internet? Who has the time to do stuff like that? Then you hide your identity? If you are concerned about something then ignore it or steer clear of it. What is the benefit of badmouthing a man to that extent? Can't even do your research right. The cars in the driveway aren't even his. In fact one of them belongs to my grandparents. You must have a personal vendetta against him to spend that much time stalking him or maybe you're obsessed? If TCA were a scam, honestly, I'd probably be the first to blow the whistle. But honestly, it's not, if your are worried about it then sign up, put no money into it and if it's a success then HOORAY, if not.. What did you lose? A little time? Isn't it worse not to try at all? Those of you having problems logging in all I can tell you from this end is to be patient. Put a support ticket in and hopefully they will resolve the issue. If you want, you can always just resign up under a new email address. Just create a new gmail account specifically for TCA. I don't know what the problem is, but that is the only thing I can suggest. I'm sure TCA staff are swamped getting ready for full launch, and adding more bandwidth to the servers etc. so that may be the issue with logging in. Remember, this is just getting started to you need to be patient. When i log in it says that im using a incorrect username and password-and im not. When i try to get a new username and password it keeps on saying error. What can i do? Zac I joined TCA a few weeks ago but have been unable to log in! I didn't get into the co-op with the customer advantage since I do just fine with my own promotions. But I will say that 1200 people with 15 guaranteed is not that much. Your only talking 18,000 new members which could happen in just a couple of weeks quite frankly. I know there is a lot going on in the background, but I will agree that some significant updates coming soon would help get the buzz and motivation of the members going. No doubt at some point people just loose interest with all the other things going on online. TCA Co-op...where are results or status updates? TCA originally offered 15+ enrollments for $75 to participate in a co-op marketing campaign. I shared this opportunity with my team, telling them it was optional, and many subscribed February 8th-10th. The format...pure rotation, everyone gets 1, than 2 etc (based on 1,000 participants which I believe was increased to 1,200). Then on a conference call John changed it to the first person gets 15, than the next gets 15 etc. Without knowing where my team members "stand in line", it could be 6-12+ months before they see 15 new subscribers. They came on board fairly early, imagine being the "last" in line...good luck! Has anyone ever heard of a co-op marketing campaign that is "not" rotational? Where are the updates to people who collectively invested $75-$90K? How long do we continue to hear about testing, or the new servers stopped us from launching etc. It appears TCA is buying time with this new co-op strategy (for what reason I have no idea). Why else not see any results "8 weeks" after people paid for the advertising, with no accountability (this is a free program after all, how hard is to produce sign-ups "if you are already paying for advertising". If not...why not?If so...brag about the results to date, assuming you have any! Where there is smoke there is fire...I pray people will not have their dreams dashed, this is very worrisome indeed! TCA offers 5% instead of 2% and TCA gives you a website. I am unsure of who came up with the idea first, but it doesn't matter. What matters is that it works and people are already benefiting from it. It has huge potential! I agree, if you don't like TCA don't waste your time and energy on this, for a lot of people this is a great opportunity and its going to happen with or with out you. You should check your email's spam folder for the confirmation email if you didn't see it in your inbox. If it's not there, I'd say try signing back up with your original link so your under the same sponsor and make sure you put the correct info email etc in. Another possibility is the servers are being updated and conf. emails are running a bit slow. I signed up today with the Customer Advantage and have received no confirmation email. I then contacted the Customer Advantage asking why, and have not heard back from them. Just because I am skeptical is no cause to categorize me and others as 'naysayers'. I have a right, and an obligation to myself and others, to be skeptical. I also have a right to say something about something that has consumed my very valuable TIME by my joining and spending time investigating it. TIME is way more valuable to me than money. HOPE is even more valuable still. So, while I am truly pissed if/when someone wastes my time with a bogus opportunity. I am even more pissed if/when they destroy HOPE by scamming or otherwise not being 100% TRUTHFUL. Every scam helps to destroy HOPE, as well as make ME look stupid to those who I try to explain 'net marketing to. And if/when someone wastes my valuable TIME, I am supremely motivated to spend even more TIME spreading the word. Now I have yet to call TCA a scam. And as an 'anonymous' poster, I was the one who demanded the person PROVE their claim of John M. earning $90,000 selling ad co-ops. So I think I am being fair in my inquiries. NOT just being a 'naysayer'. And, if TCA would provide answers to these and other questions, there would be no problems whatsoever. With all the outright scams going on online today, TCA promoters should be a lot more thick skinned, and expect people to question, question and question again. ESPECIALLY when TCA is promising so much, but has yet to deliver. i.e. According to one TCA promoter, people were supposed to be getting PAID in MARCH, and it is now APRIL! And there was no answer to the obvious question - "So, who has gotten PAID?" Yes, I misplaced TCA with CONCEPT. BUT, as I understand it, TCA is using a NEW concept - basically GROUPONS with a payment compensation plan for members. there is a business model that TCA is an exact replica of. I am not a 'naysayer', I am a healthy minded skeptic, asking reasonable questions. 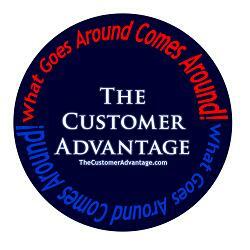 WHO has made even ONE DIME from The Customer Advantage??? Runaway, Sofia said the "concept" being utilized by TCA has already proven itself in the marketplace. Which of course is 100% true. I don't get it with you naysayers. If you don't like TCA, why not just leave it be and if it does start to grow and develop then get in full force. I personally know of some really big players and celebrities who are getting onboard. I plan to promote it to some really big companies as soon as all the features are fully functioning and TCA starts getting some real traction. The verdict is still out I agree, but IMO TCA is being very transparent and moving forward with a well thought out and implemented business plan. That's what it will take as opposed to a up and quick substandard operation we see from so many other programs online. The customer advantage has great potential, hopefully it will reach our expectations. I believe this is a great opportunity! The concept being utilized by The Customer Advantage has already proven itself in the marketplace, so this may be a great no-risk opportunity. I would like to invite all the Spanish speaking people / Latinos to join. Can you prove your statement? "2. He sold 1200 co-ops for $75=$90,000 5 weeks later ...no results. This was cash flow plain and simple, and now we have to hope he delivers the company and the subscribers." Can you prove this accusation? I read a response where a person writes 'I came upon this website today' and then says 'I was irritated at people who jump to conclusions so fast'. Wow I really put merit in the fact that this person shows so much faith in any business the same day that they tripped over the website. I have put many, many hours into this business and I still cannot find enough information that gives me as much faith as that person has. On the other side there is still potential. It is important to see all scenarios and to make decisions based upon facts. I just wish that they gave us more facts to work with. In the mean time I will work on not jumping to conclusions too fast. For real or not for real?? I would really like to think that TCA is for real. However, I must say that I am very surprised at the lack of attention by TCA and specifically the customer support team. I have sent questions via email to direct TCA support reps and have never received answers. These questions are basic in nature and they are reasonable and most important they came from business owners who would like to send out coupons. but they do not seem to be important enough for TCA to answer. I know that we are in a pre-launch stage and I know that I did not put any money down to get involved. But unless your time is worth absolutely nothing then we all have something invested. As a member trying to promote this business, I (we) deserve a response from TCA. Two days ago I went through the TCA FAQ section and the last answer that was provided by a TCA support person was March 6th. I could not find any more official answers. What I have heard is that they are very busy. I am sure that they are busy, but anyone who has had any experience knows that 'no response' is a 'terrible response'. Most of these simple questions could be answered quickly and easily. Most importantly they could be posted globally for all of us to see. Then thousands of people will not be asking the same question and thousands of people will be better prepared to pursue this business effort. We do not have to like the answers and we should be able to accept that the answers will change as the product is rolled out. But no answer is a huge red flag or many possible problematic scenarios. Has anyone seen or been involved in the trial or pre-launch coupon effort. Which businesses have been involved and what type of response did we get? What part of the country are the test coupons being sent to? I went to local meeting of the TCA members and there were no answers to the simplest of questions. This was about one month ago and with 50 people in the room there were no answers to the questions that were raised. These were not just new signups either. 3. 1 connection on LinkedIn and no mention of TCA…disgraceful, what is he hiding? 4. Destroyed many marketers credibility by announcing free video email/conferencing "before" the deal was done-reprehensible! 6. Constructed the compensation plan to "never" pay 5 level commissions which is 50-90 of your revenue potentially. 10 legs with $10,000 monthly volume is out of your control. If you had 100 front line all generating $9900 month of volume , sorry, you don't qualify...absolute bull! There's plenty more, fortunately after building a very nice team, I found an alternative that has already launched and pays 10 generations deep, no recruiting or volume requirements, has a physical corporate office with a telephone answered by a human being, and best of all...cuts the costs to merchants by 40%. Now that's a business model and it's already doing deals. I'm not hear for recruiting, if you would like to learn more, send an email to viralpension AT gmail. Best wishes! Just to answer some of the nay sayers I would like to assure those of you who have read some of the negative online reviews etc. that The Customer Advantage is moving forward with great potential for the future. Many online biz ops come and go, the difference with those who remain productive is whether or not they plan for the long term. TCA is doing exactly that IMO. They could have launched only being partially prepared, but they have made the right decision to have their system working like a fine tuned machine before rolling out full launch. Patience will be rewarded as well as an opportunity to promote TCA with confidence when we all see it is what we've all hope it will be. Stay tuned here for the latest updates coming very soon I assure you. Don't bother with tca. They are falling apart. The leaders have left and john milanoski has broken every promise. he uses a foreclosed house for his video layout to make you think he is self made. The truth is john mianoski has jumped around from company to company. For all you kool aid drinkers, you have been warned! Hey Zac. Thank you for answering my previous question so quickly. I have another question for you. I understand that organizations can sign up and use this as a fundraising situation. What type of groups can do this and what is involved in signing them up. My son is a member of his Tae Kwon Do's school's Demonstration Team. We do a lot of traveling for competitions and the students and their parents do fundraising to help pay for the travel expenses. We are not a formal non-profit, nor have a tax ID number, so how would that work if we earned more than the $600 per year? I also know of other groups in our area that would be in the same situation and I would like to approach them to join as a fundraiser, but they would have the same problem. How does this work? Thanks! IF this is FREE, then HOW are people going to get PAID? IF the source of income is people buying coupons, then how does someone find out what coupons are available in their locality? IF this is a viable business opportunity, then what can we view as PROOF of income/compensation? TCA members who wanted to would be them from TCA for $10. The business would get $5 up front for every coupon bought, and TCA would get the rest to distribute to it's members ie. the ones who bought the coupon and those responsible for inviting that person up 5 levels. As well as 2% going to the one who invited the business for every coupon purchased through them. That's were the money is generated, through the deals members take advantage of and only the ones they want, when they want. Business's do not have any up front costs whatsoever with the customer advantage. How it works is they offer the discounts and when customers redeem those coupons the business honors the discount. Businesses receive their portion of the revenue before the customer even redeems the coupon so absolutely no out of pocket or up front expense for the advertising business. Businesses get new customers, (hopefully repeat customers) as well as revenue up front. It's a win win for them. As for the live coupons/discounts I have read we are about 30-60 days out. But it could be sooner as they are going to focus on a few areas businesses have already participated in and move out from there. We will keep everyone informed here when we know any more details. I'll ad important updates at the very bottom of the original post here. Do you know when the beta phase will be over and will actually go live with coupons? Also, do you know if there are any costs involved for the businesses that participate and if so, how much it is? I signed up last night, and sense have not been able to do anything with the website, it won't even log me in now. Also, I looked up Moolala and it seems to me they have the same idea, so this is not a new thing at all. The only thing I can see is different with CA is that they give you a website, that doesn't seem to even work properly. I don't think it is a scam. A scam would mean I would be losing something by becoming involved, I just am not too sure that the site is as functional and legit as they want us to believe. Seems to me the tech part isn't going very well. We will see I guess.. They already have thousands of members making significant money. You get 5 offers Free a week thats better than 50% off and can upgrade to make good money if you want to share it. Follow up to earlier post! Is it a scam? Who knows! But whats the point, its free so what will the scam out of me? My email address? I have nothing to loose for joining. Lets hope its the next big thing! The links you refer to don't tell the whole story. After all, Facebook was started from a garage on a home computer. Having said that, I would like to emphasize the customer advantage is in prelaunch. The concept is excellent, but there is much work to be done. Since the cost is zero you have nothing to loose but time. BUT, time is more valuable than money. I am not at this present time spending much of my valuable time on the program electing rather to wait until the functionality of the program actually materializes. My suggestion at this point is to join, tell some of your friends about it with the idea that it's great to get in on the beginning of a great free opportunity. THEN, when it does go live and has the potential of growing at lightening speed, you won't be left behind. Groupon grew to 40 million in about 2 years. I wouldn't make to much of these sites the over hype the negative now. They are against nearly any multi-tiered compensation structures, even though nearly all corporation operate under them by compensating corp exec. for the portion of the company they are responsible for. Re: Is this info TRUTH or NOT???!!! If you didn't read the whole page...almost by the end I found this link http://employmentbecomesoptional.com/ then he lunch the Customer Advantage Program?..Please let me know your outcome of your due diligence ok. I was interested in this site from the first time I saw. I have signed up over 250 people in the first 30 days along with 2 businesses. But now when I try to get to my back office I get a FORBIDDEN 403 notice. So now I am getting skeptical about what they are doing. I got in what I thought was alot of people and now if feels like I am getting them stolen away from me since I cannot get into my own site... I wonder if this has happened to anyone else? I wonder if any of your people would know how I can get back into my own site???? Any $'s paid out yet? I have read all the comments weather CS is a scam or not. My question is; Has any money been paid out to anyone? Where does the 5% come from? Would enjoy a clear answer on these questions. Another great site is Moolala. Moolala has tons of great deals LIVE and most importantly… I’m already getting paid!!! The truth about John M.
I have stopped promoting TCA! I too, have stopped promoting TCA due to the same reasons. Below is a email from Bill Gates, I mean John M. For those that have been around tca, the kool aid drinkers crowned him as the next Bill Gates. -he said he is going to ca for 3 days..? for what??? -more fluff "vision, commitment, professionalism and patience"
-have you seen the video of the guy with no legs and no arms in the back office? It has nothing to do with tca! I take isse with you[john] using a disability to sell your so called dream that you have been working on for 15 months! A quick update from John Milanoski & TCA. If you got an email about our webinar last week, after the webinar… I apologize. It surely was my intention to get it that invitation to you ahead of the webinar. As you know we are now over 45,000 members and growing steady and rapidly. I did not realize our mail server was throttled the way it was so when I sent out the email and expected it to be delivered, I was surprised to see a day later, emails were still going out! This will be fixed and to let you know, you will soon see the webinar time and link in the back office under "conference call" tab. The developers continue to work on our interface to improve things according to the requests and feedback. We have chosen to move to a webinar after several weeks of very conference call service that was unsatisfactory. We are implementing a permanent solution for the webinars and once that is finalized this week, you will see the numbers posted in the back office. We received over 900 emails about the late email regarding the webinar! The coop campaign: testing still continues and we have some great results so far and plan to roll out on a large scale as soon as we test a few more scenarios. It is important to let testing take its course so we maximize the potential results. There are notes about the process in the back office under help and on the community tab. If you have questions, please start there. Zac, I appreciate what you are doing as well as John Milanoski. I joined The Customer Advantage because I have a dream. I also know that "free" means an opportunity, something that draws many immigrants to AMERICA> It also means work and reward. It is said that P.T. Barnum said that "there's a sucker born every minute." P.I. Barnum wasn't one of them...he was a hard working dreamer, and he made a lot of people happy! From your stats of 40,000 with Zac and over 1000 with Anonymous I would like to hear from each of you. How long that took and how much you have made monthly. I understand your concerns. Let me first set a couple of things straight. Coach Van of the Tools Team is simply another member like anyone else. His webinars are of his own making and are not "officially" TCA webinars. John Milanoski is scheduled to appear on one as I understand, but TCA will be doing their own official webinars in the future. As for the co-op from what I've read, TCA will be doing quite a bit of split testing to ensure the optimum results from the co-op advertising. I'm not part of it, so I don't know what you've been told once you joined the co-op. I personally have this review which is ranked #1 at Google as we speak for TCA and that's pretty much the extent of my promotions for now. I personally am waiting for the full launch and more features and options to be added to this program before going 110% into promtional gear as I do with all my online endeavors. We will certainly revise our opinion of this program if and when it appears to be just another "pipe dream" as you put it. But quite frankly if is far too soon to come to any conclusions of that nature. Your objections seem to be focused on instant results which IMO would qualify as a "pipe dream". Please feel free to add any more comments particularly if you have anything concrete to add. Yes this is a scam! For your information, this is not John's idea. Do a google search and you will find a dozen other stat ups doing the same thing. All these start ups jumped in the game to collect members for free and had no plan on what to do next. Have you heard John on any calls? NO! You would think he would be on the calls. I have one of the fastest growing teams with TCA and I had to be honest with them. Hey John M. - Where's our 75,000 dollars going? The company has no phone number, no corporate address and have you looked a John's Linkedin page??? Wake up and don't involve friends into this pipe dream. If you do, you are not a friend! Is The Customer Advantage A Scam Or Not? I wish you would have stated your name, but then again, if you want to contact me my contact form is right to the left side nav. menu. Ok, first I understand your frustration. Prelaunch programs never move as fast as we would like, or never seem to meet our expectations. I can assure you if John, and TCA end up being a scam simply to harvest income seekers I will be the first to expose them and blast it all over the internet. (I'm #1 at Google for "the customer advantage" keyword in general) as I'm sure you know since you came here to voice your frustration. Also, I wonder why you have conceded the co-op is a waste. Not that I spent anything on it, as I get 1000s of people coming to my sites free. Isn't it just getting started? Please respond to my comment or contact me with details OK? This is a free program just getting started, so I don't think you are being fair with your accusations. Also, how do you know you have a bigger team than I? Just wondering. Anyone else with comments or questions about the customer advantage and it's progress or the co-op please feel free to chime in. Do not join TCA! They have broken every promise they made. The reason its free is because they have ZERO business! They did collect $75 from us 1000 members for a co-op and never did anything! Now they have $75,000 of our money. John is a lier! I too have talked to him so you don't impress me Zac! I have a organization larger than yours and I am honest with them. All you are doing along with the customer advantage is collecting a data base of people looking for a opportunity. You will then bait and switch. Has anyone listened to the corporate conference calls? They call coach van (tool team ut I call him tool bag)a leader??? This man can't even speak in a complete sentence. If this is what you call a leader i you company, then it has to be a scam because normal networkers with reputations wouldbe the ones hosting the calls not caoch van tool bag! Run from this and don't subject youself to this pipe dream! It's not a scam, I'm dead serious. What would they scam you out of? lol. It's free to join, and unlike groupon they give you incentives to sign up other people. The site makes their money advertising for companies by putting their coupons on the site. the business model is ingenious honestly. I got referred to them and was VERY skeptical at first.Once I started reading more about what they do, and how ontop of the money making potential that it helps local business compete against asinine corporations like walmart and best buy by offering them an advertising platform, I was sold. The sites in beta right now and is referral only, when it starts up, SHABAM. these guys are up to 40k members and its not even open yet lol. My account is like 5 away from the CEO cause I got in early. IT"S NOT a scam. There's nothing they can scam you out of. You don't pay, you don't invest, you just join lol. It really is a zero risk deal. Let me address some of your questions. First of all the customer advantage is free. Zero cost to become a member and take advantage of the local discounts. Also there is no cost to become an affiliate, which is part of the free membership, which compensates members for referring friends and building a team down through 5 levels depending upon how many personal referrals they invite. You are not asked for Credit Card info. as membership is free. When taking advantage of any deals you will checkout with paypal or another secure CC processor just like you would buying anything else online. As for your SS#, and a 1099, if you earn more than $600/yr or there abouts from TCA, the IRS requires companies to file a 1099 with you. It's the standard with all company affiliate programs anywhere. Hope that answered your questions. Keep an eye on The Customer Advantage, many more features are coming very soon as we approach launch date. P.S. approaching 40,000 members now, most of whom have joined in the last 30 days! This is for Jezabel and Amanda.....Ladies, I just wanted to let you both know that I have recently signed up with The Customer Advantage and I am VERY impressed with the back office website that I had instantly and all the training videos and support material. I have been a part of companies in the past that pay you for referring your friends and families to buy nutritional products etc. and have done well with them because I really liked the product and used it myself. This however is soooo much better in my opinion because the "product" is group buying power and coupons, so there is NO COST for that! It is more of a service than a product and if you have seen any other company like Groupon etc that offers something similar you will know that it IS a valid company. The way that Groupon and The Customer Advantage makes money is from the members (myself and potentially you ladies), buying the coupons for our favorite deals.....so they don't have to "scam" you.....they actually get a piece of the money from the sale of the half off certificates.....get it? They WILL I am sure at SOME point have to have the members fill out a Form 1099 for when they compensate us because they are REQUIRED to by our Uncle Sam. But that is ONLY if you refer the business to those you know and desire to make some $$$$. If you are worried about that then just take "Advantage" of the deals, cuz they won't require SSI# for that. Hope this helps.....it really is an awesome concept and I think it is going to grow HUGE very fast. Best of luck!! The customer advantage is growing like crazy now folks! 15,000 plus just since Jan. The Customer Advantage Support Center is open and free for all members. Just a quick update. First we are growing like crazy and expect to be multiplying our membership by thousands per hour soon! Also, the customer advantage has it's own official forums for members to get their questions answered etc. Join in and write your own page! It's easy to do. How? Simply click here to return to Internet Scams.